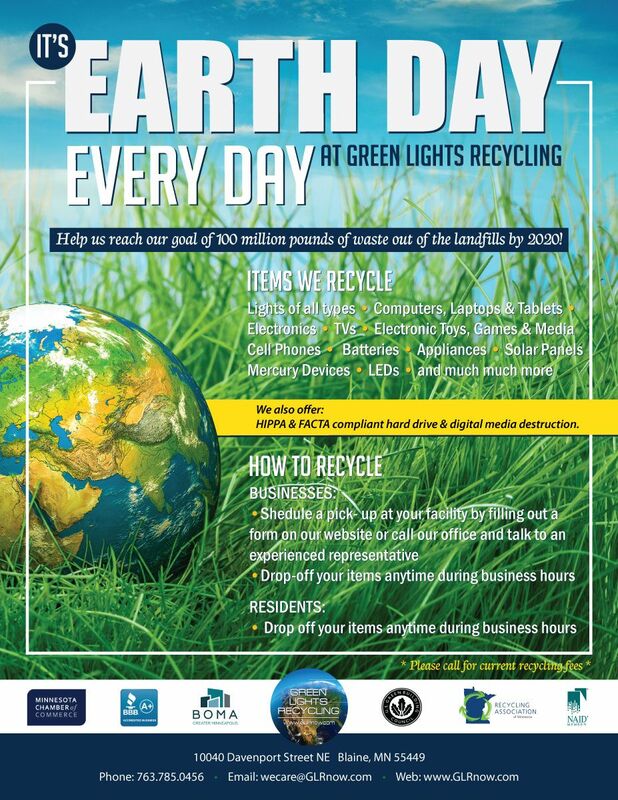 We recycle lights, electronics, mercury waste, batteries, computers and more. The GLR EXPRESS LAMP-PAK comes with everything your business needs to comply with regulatory needs of today and tomorrow! 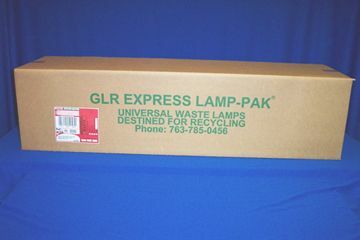 Easy to follow instructions, packing tape and pre-paid shipping labels are included with every GLR EXPRESS LAMP-PAK. 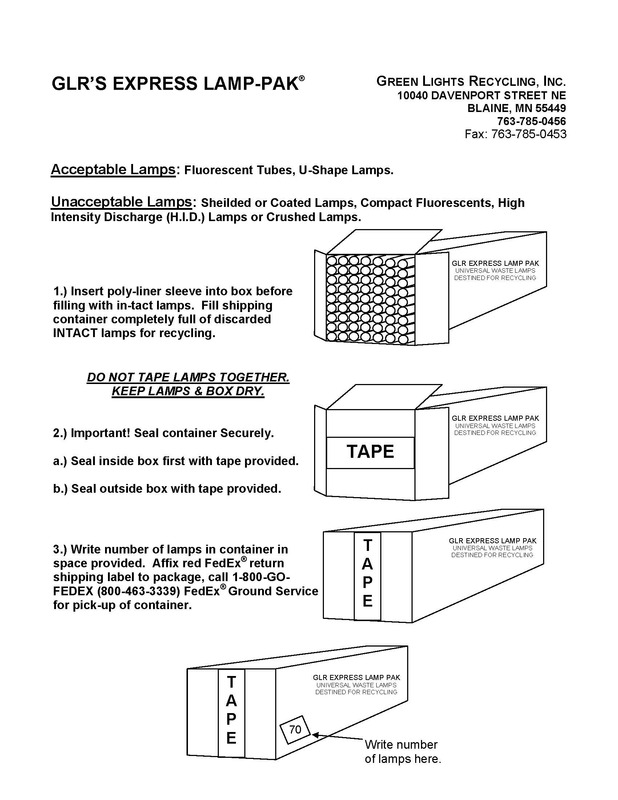 Simply fill the container with approved materials, affix shipping labels, call FedEx Ground Shipping to pick up the recyclables. 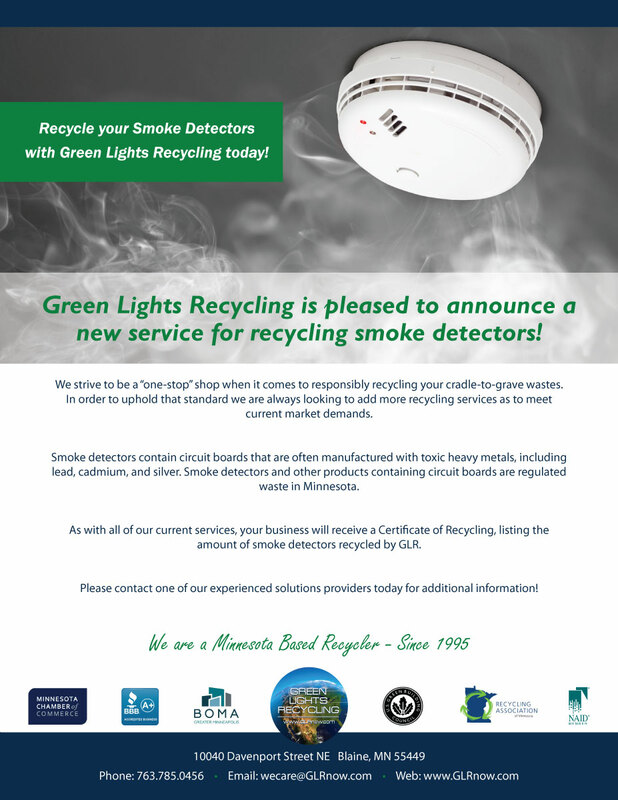 Whether you live in a metropolitan area or a rural area, the GLR EXPRESS LAMP-PAK will make lamp recycling easy and affordable.